University of Illinois at Chicago scholars Wonhwa Cho and John Nitiss have been named fellows of the American Association for the Advancement of Science (AAAS), an honor bestowed upon AAAS members by their peers. Cho, UIC distinguished professor and College of Liberal Arts and Sciences Endowed Chair in the Natural Sciences, and Nitiss, professor of pharmacology in the UIC College of Pharmacy, are among 416 members in the 2018 cohort to have been awarded this honor by AAAS because of their scientifically or socially distinguished efforts to advance science or its applications. 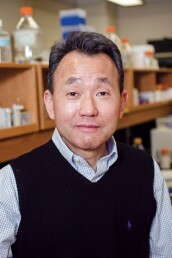 The researchers will be honored at the AAAS Fellows Forum during the 2019 AAAS Annual Meeting in Washington, D.C.
Cho, who is also professor and head of chemistry and distinguished professor of liberal arts and sciences, was selected for his distinguished contributions to the field of chemical biology, particularly for his contribution to lipid binding proteins and the quantitative lipid imaging technology. Cho’s research centers on lipids, which form the cell membrane that acts as a barrier between the cell and the surrounding environment. His discoveries of how membrane lipids control and modulate protein networks have the potential to transform approaches to drug development, as well as basic cellular biology. In a seminal paper published last year in Nature Chemical Biology, Cho and colleagues described the surprising finding that, in addition to its many other biological roles, cholesterol is a signaling molecule that transmits messages across the cell membrane. He is currently investigating how cholesterol and other cellular lipids control cellular processes to develop new strategies to treat diverse lipid-related human diseases, including breast cancer. Cho was named Researcher of the Year at UIC in 2015 and UIC Distinguished Professor in 2018, the latter honor is given to those who have made a significant impact upon their field through scholarship, creativity and leadership. His work has also been recently recognized with 2018 Avanti Award by the Biophysical Society. Nitiss, who is also assistant dean for research at the college, was selected to become a fellow for his contributions to the study of topoisomerase targeting anti-cancer drugs and the development of yeast systems for studying anti-cancer drugs and other small molecules. 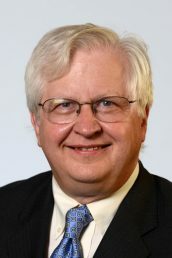 His laboratory, which is based at the college’s Rockford campus, uses a combination of genetic and biochemical tools to understand the action of anti-cancer agents. Nitiss’ hallmark approach has been to use yeast as a model system to precisely define the pathways responsible for cell killing and drug resistance, and to apply insights obtained with yeast to in vitro biochemical systems and to mammalian cells. The tradition of AAAS fellows began in 1874. Members can be considered for the rank of fellow if nominated by a steering group, by any three fellows who are current AAAS members, or by the AAAS chief executive officer. AAAS fellow’s lifetime honor comes with an expectation that recipients maintain the highest standards of professional ethics and scientific integrity.